Everybody wants a six pack, but nobody wants to take the time to assault the abdominals. The abs respond to intense exercise just like any other part of your body. 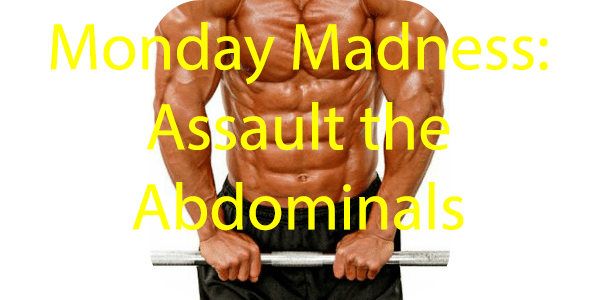 Today I am going to show you how to launch an all out assault on the abdominals. You are going to be doing a series of 5 exercises. You are going to squeeze your abs hard during each set of these exercises. This will take you about 20 minutes and should be inserted into your training plan every other week. Use 1 minute between sets to rest. Push hard! This workout is aimed at completely fatiguing your core. It will have your core screaming for mercy! Don't ignore your core! I guarantee that if you hit this workout consistently you are going to see improvements in the other big lifts you do (squats, deadlifts, etc.). You can also add other ab workouts to your routine. Just do this one every other week as it is very intense and will require some time for your abs to recover. Today we will discuss how you can build massive calves. Before getting into specifics let's discuss some key things about building calves. Calves are extremely stubborn because they carry you around all day. This means you are going to need to hit them with some severe intensity for them to grow. Guide yourself through the discomfort and go beyond that discomfort. Now, I am not talking about actual pain, I am talking about the burning discomfort you feel when pushing the calves. You MUST go beyond! Your calves will grow if you force them to. It is a matter of finding the intensity level that works for your body. This session requires maximum intensity! You are going to push your calves like never before. In your first exercise you will do 2 sets that get you just to 15 reps. You will then do another set of 25. On the final set, go all the way to positive failure. This workout has 4 exercises. On the final exercise you are going to find a weight you can do for 10 repetitions, but you are going to aim for 100 repetitions. It is OK to pause 10 seconds when required, but keep going until you reach 100 repetitions. This is going to really shock your calves and their response will be to grow. Do this training once per week only! That 100 rep set is shocking your calves and they won't recover fully for a week. Leg training is neglected by so many. I believe you need to train all body parts to maintain symmetry. 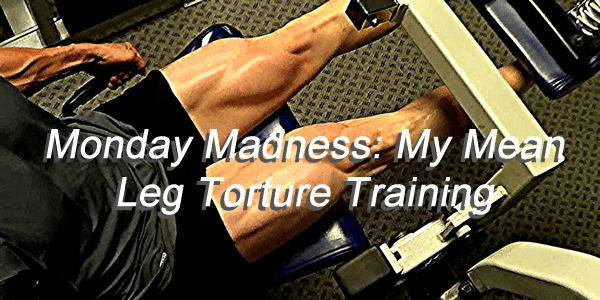 Today we present a torturous leg training workout that will have you crying by the end. This training will hit your hamstrings and your quads. It is going to be brutal because the approach is to kill those quads and hamstrings with volume. Starting out with leg extensions at a high rep range will mean using light weight and warming up the muscle. Follow this up with single leg extensions, again with high reps, but this time aimed at pumping blood into the quads. The hack squats will continue to pump blood into the quads. Next up is 5 sets of 8 repetitions for back squats. The weight should be moderately heavy. Push hard to get all the repetitions. Now you should feel like your quads are balloons. Next we hit the hamstrings. We start out with lying leg curls to warm up the muscle. We then go to seated hamstring curls to start the pump. We finish off the hamstrings with heavy stiff legged deadlifts. We then return to the quads with front squats, back squats and leg press. When finished your legs will be engorged with blood. The pump should be insane! Leg training like this is aimed at pushing blood into the muscle to help the muscle grow. You have to really push hard to get your legs to grow. 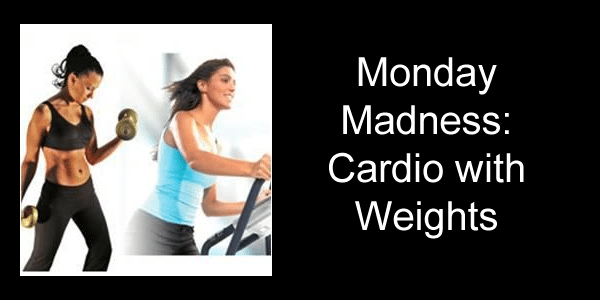 Today's Monday Madness is all about building a crazy set of arms and a wide back! This biceps and back blaster workout will leave you pumped. It involves pre-exhaustion sets as well as supersets throughout. The pull ups are a great way to get started without really risking injury. You will warm up your back and your biceps during that exercise. With the lat pulldowns don't cheat by using momentum. Pull your elbows as low as you can and squeeze. We are using cable rows because they keep the tension on your muscles the entire time. Bent over DB rows give you an amazing stretch and work the back hard. You use less biceps and more lats. The rope pulldowns are great because you have a wider range of motion. The face pulls work your upper back hard. With the BB biceps curl we are doing what is called 21s. You start with 7 full repetitions. You follow up with 7 repetitions from the top to the middle point. You finish with 7 repetitions that go from the bottom to the middle point. At this point you're tired, but make every rep of the spider curls count. You will now do reverse curls that will hit your back as well. Finish with a run the rack set of alternating DB biceps curls. At the end of this training you are going to feel drained. Get some rest to do it again in a week!